Several weeks ago we went back to Six Flags to get our photos taken for our new 2009 season passes. This time we decided to take the little guy with us and thought the big kid would love to go on some rides while there. 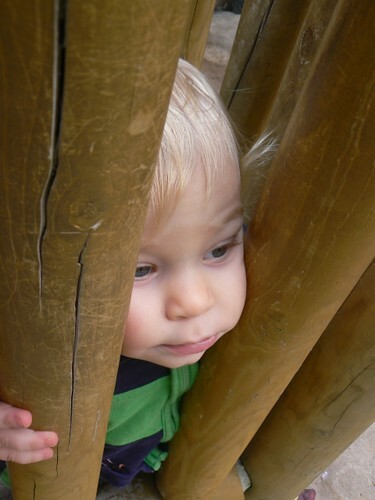 JSL was mesmerized with watching the rides as he waited in line. Thanks to a short rain storm, the lines were not too long. The boys were able to get some rides in before the rain started back up. In addition to just taking in the rides, we were able to enjoy the Halloween atmosphere within the park. 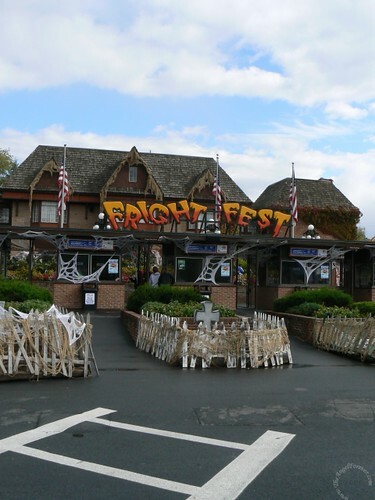 Starting in October the parks all participate in Fright Fest. If you have never been before it is absolutely amazing. They go all out. Every inch of the park has something Halloween-ish going on. Whether it is cobwebs, skeletons, or wandering characters you definitely get the feel for the holiday. Now if only they realized the Chain-Saw guy running around with the horribly loud noise was NOT very friendly in the afternoon for families with young children. Even the park entrance was decorated going out to the parking lot. 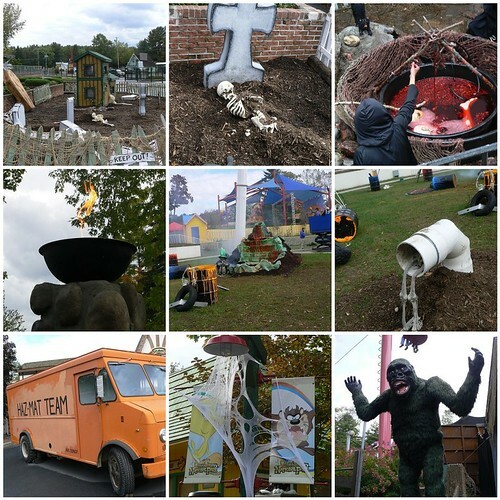 Here are some of the decorations from throughout the park to get you in the mood for Halloween on Friday. This was likely our last trip to the park this year (they close this coming weekend), but we look forward to many more memories with our season passes in 2009! What a cool post. I like the sketeton sticking out of the pipe thingy. How on earth do you get the picks to line up with 3 in a column? Darnit, I cannot get my gallery to do this. I must work a little harder next time because you’ve done it several times. Anyhow, hope it’s going good this week for you!